Innveso Consulting can help you reach your goals by processing your documents and helping you to make informed decisions about your path to citizenship in Grenada. 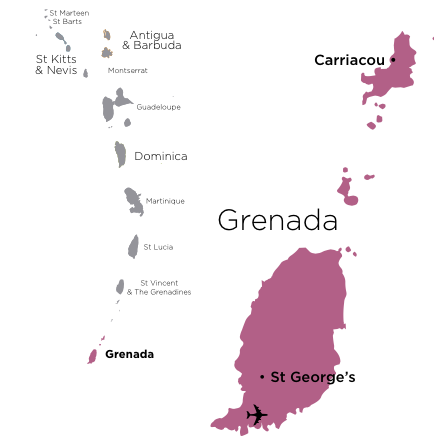 Are you ready to take advantage of all the benefits that Grenada has to offer? • Make a donation to the National Transformation Fund of a minimum of $200,000 (all funds are in USD) this is a non-refundable donation. • Invest in pre-approved real estate project for at least $350,000 (USD) which you can sell after 4 years, in this case there is an extra fee for every dependent but there is the potential to see a return on your investment. Note: The investment will be only done AFTER the approval of application. There are benefits to each of the paths above with caveats as well. Discussing your best options with a consultant can help you to make an informed decision about which path you should take to obtain citizenship. Our consultants can discuss the other fees and projected costs with you so that you have a complete picture of how much the process will cost you overall. Your application can be processed and approved in a little as 3-4 months. We are here to provide you with the services that will make the process quick and easy. All you have to do is call, get your free consultation and agree to the terms to get started. We do the rest! We offer a turnkey approach to obtaining citizenship in Grenada by providing you with all the necessary support that will help you to meet your goals. Innveso Consulting goes above and beyond the usual to help our clients secure not only their citizenship but to further their goals as well. Whatever it is that you wish to accomplish we can help. Call today for your free no obligation consultation to talk about the possibilities that await you with citizenship documents for Grenada.